SOEDESCO and 3Division Entertainment will bring the first ever helicopter combat flight simulator to console this Fall, with the release of their title, Air Missions: HIND, on the PlayStation 4. 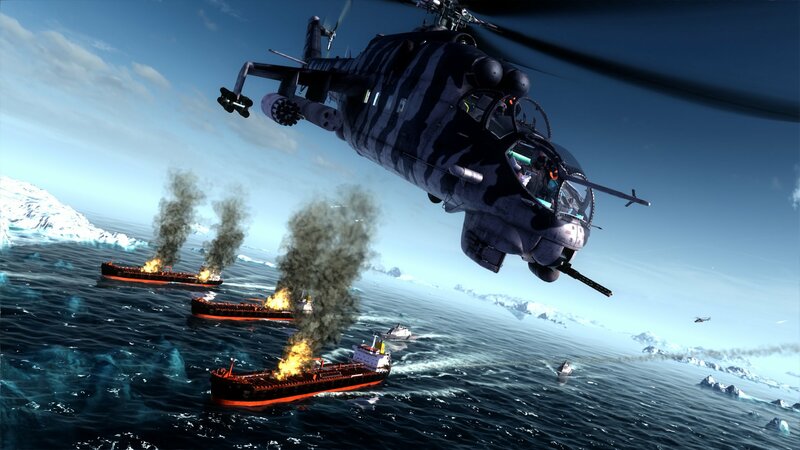 The game is based on the Mi-24 Hind assault helicopter, also known as the “flying tank.” Players will take control of this beast and equip it with their weapons of choice. Two will go on the wings and a machine gun will be mounted on the front. UPK 23 machine guns, GUV gun pods, FAB bombs, and a variety of missiles will be available. Players will strategize which ones are best to use based on the assigned mission and its location. Missions will take players to Central Asia, Eastern Europe, the Arctic Ocean, and Southeast Asia. There will be 3 difficulty settings. Players can fight alone or with others. Gameplay modes will include campaign missions, death match, instant action, and on-line co-op. The PlayStation 4 version of Air Missions: HIND will release on October 9th, retailing for $39.99. Pre-orders for a physical copy are available at Best Buy, Amazon, and Play Asia. The game will also release digitally the same day. Air Missions: HIND is currently available for PC & Xbox One. See a gameplay trailer on the SOEDESCO YouTube channel.